One of the greatest lessons we can teach people as experience designers is that everything is not important. It seems an easy lesson to learn, since after all, it’s our job to sort through huge amounts of information in order to decide and to highlight what is important. 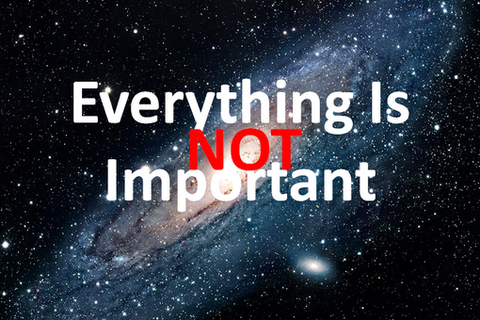 Still, it may seem impolitic or it may conflict with our liberal sensibilities to simply say, "That's not important." And so we need help. Our goal then is to provide simple ways to diagnose and treat the disease of Inflated Importance.